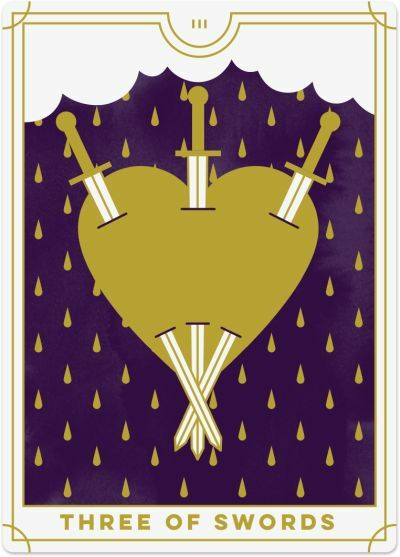 The Suit of Swords Tarot cards deal with the mental level of consciousness that is centered around the mind and the intellect. 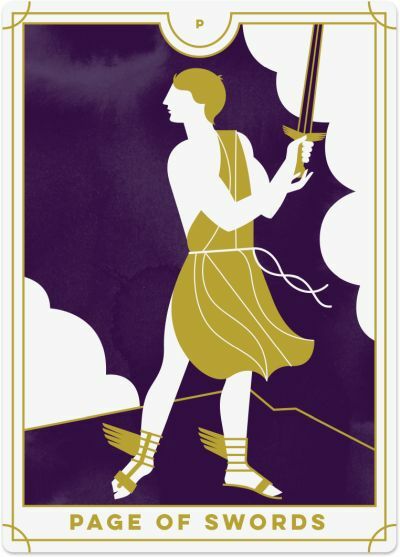 Swords mirror the quality of mind present in your thoughts, attitudes, and beliefs. 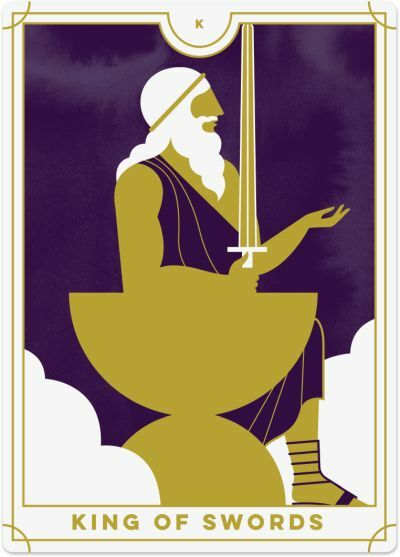 Swords are often double-edged and in this way the Suit of Swords symbolises the fine balance between intellect and power and how these two elements can be used for good or evil. 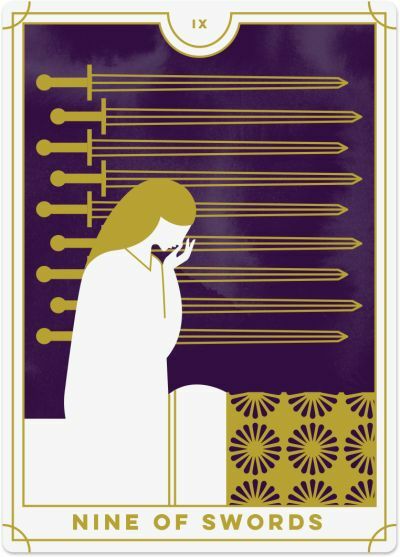 As such, the Swords must be balanced by spirit (Wands) and feeling (Cups) to have the most positive effect. 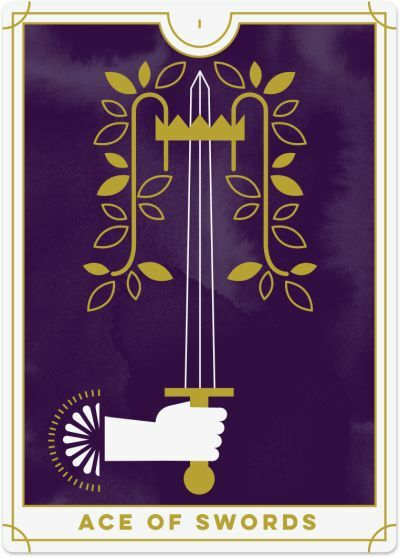 The Suit of Swords is associated with the element of Air. Air is intangible and unseen, but also in constant movement. Air can be still and mostly unnoticed, to becoming a breeze or a fierce wind. It is powerful yet refreshing and cleansing. 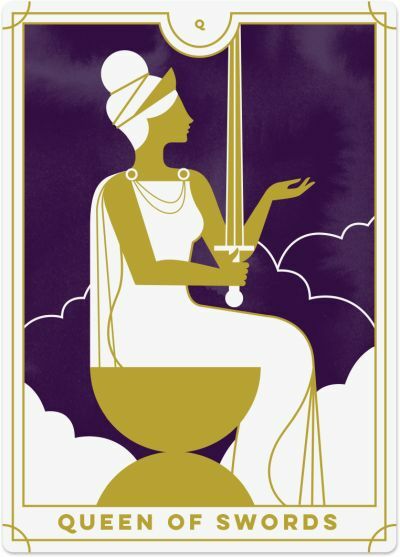 Symbolically, the air element relates to knowledge, action, power, and change. It is a masculine energy that can lead by force and power, even though it remains unseen. 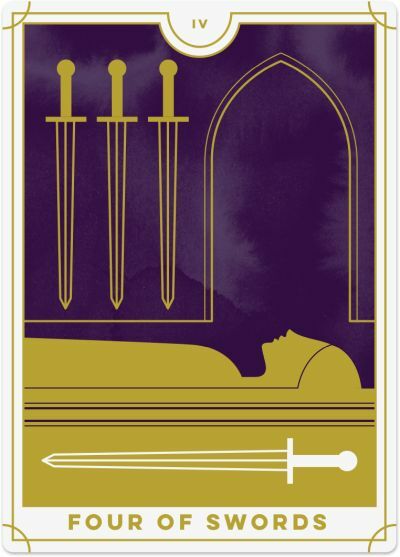 In a deck of playing cards, Swords corresponds to Spades. 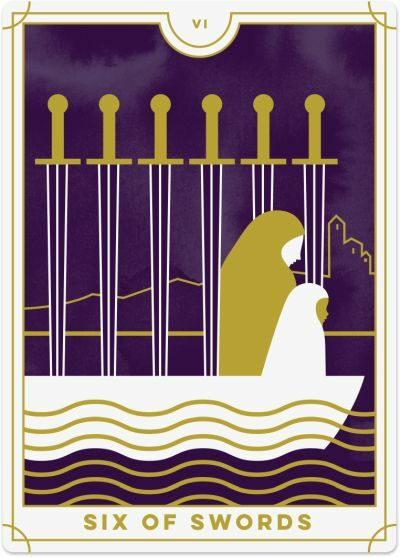 What Do the Swords Tarot Cards Mean in a Reading? 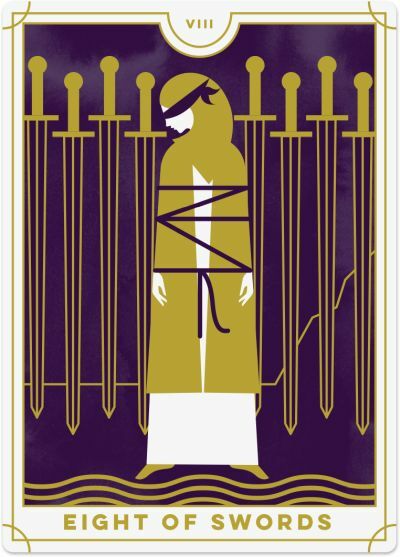 The Suit of Swords Tarot card meanings are associated with action, change, force, power, oppression, ambition, courage and conflict. Action can be constructive and/or destructive. 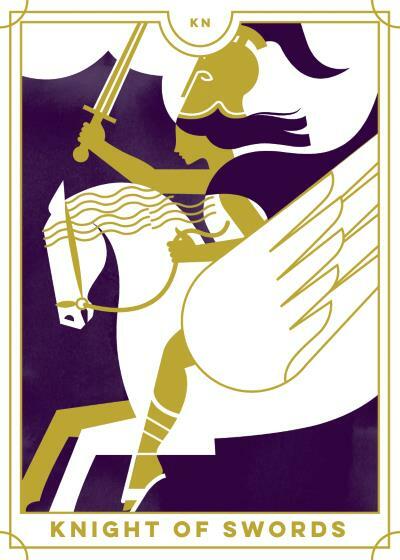 Swords Tarot cards often represent the astrological signs of Air – Aquarius, Libra and Gemini. 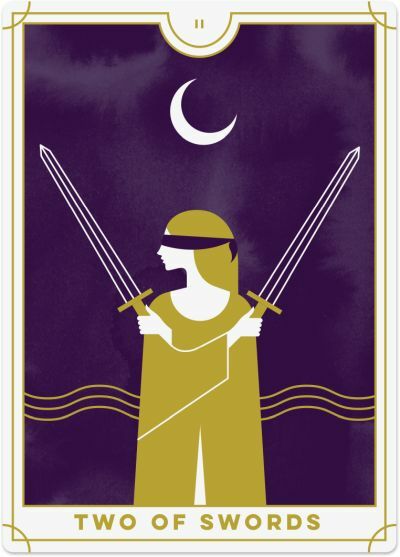 When you see a Swords Court Card in a Tarot reading, it often relates to a person with a Aquarius, Libra and Gemini star sign. 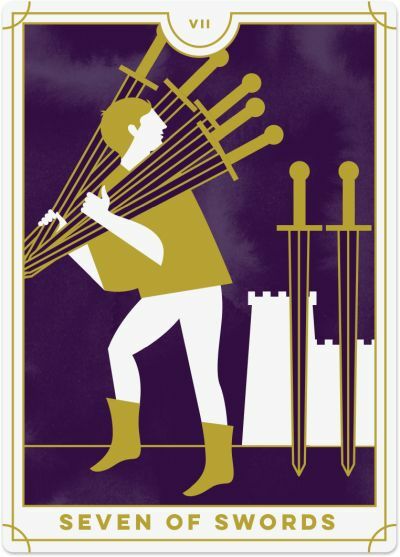 Generally, Swords people are intelligent, thoughtful, rational, logical and excellent communicators. They are rational beings and like to experience the world by understanding and analysing what is occurring around them. 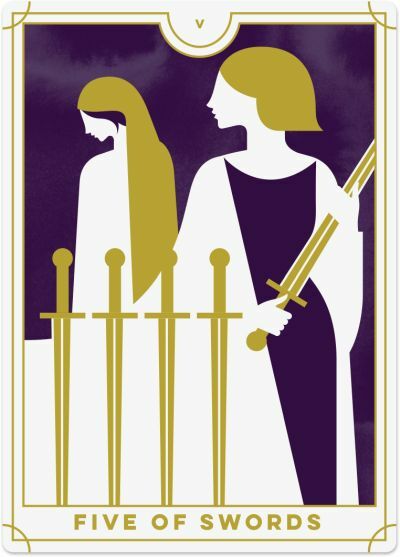 On the flipside, Swords people can be ruthless, domineering, confrontational and rigid. 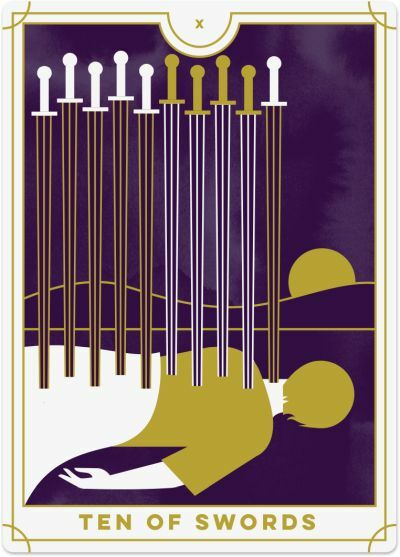 What Does it Mean When a Tarot Reading is Mostly Swords Tarot Cards? 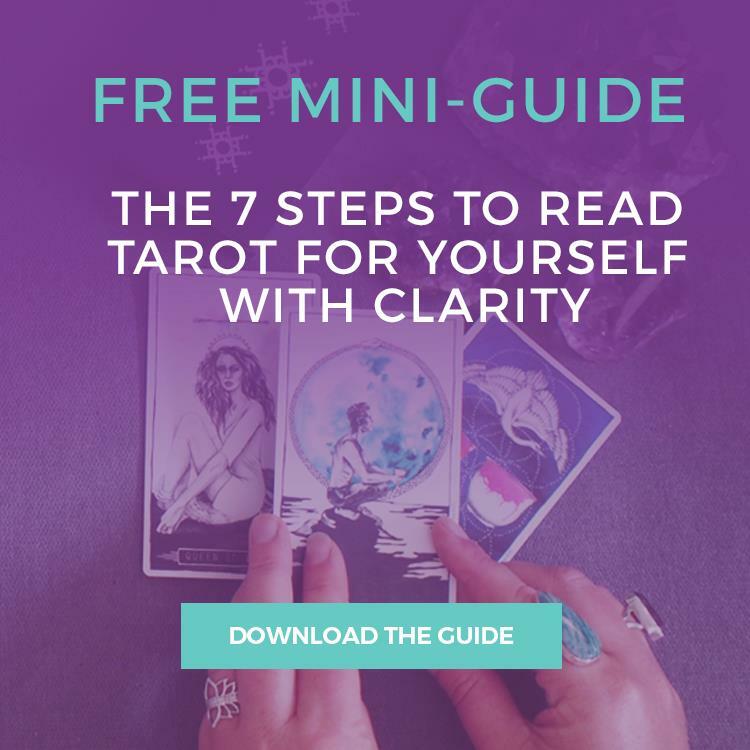 Should a Tarot reading be predominantly Swords cards, you are seeking solutions to what are primarily mental struggles, conflict and arguments, and decisions that must be made. Also, there could be many arguments or even violence at present. 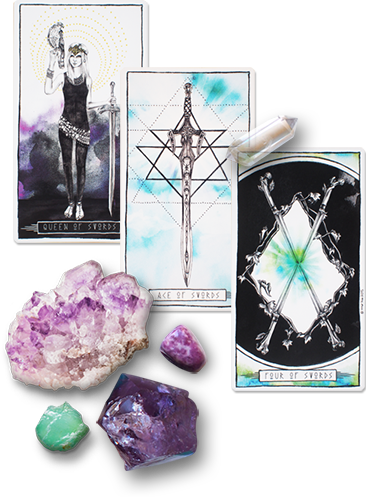 While Swords can carry with them many negative or very strong, forceful messages, Swords serve also as a warning to be more cautious of what is occurring around you. Transition, change, rite of passage, releasing baggage.